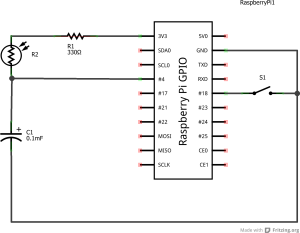 RC Timing Circuit – used to derive the light level from the time it takes the capacitor to charge, full details of this circuit and the theory\code can be found on Raspberry Pi Spy. Run the following commands in order to install the required libraries. The next step was to include the library to upload the file to YouTube, for this I used YouTube-Upload. To install this I ran the following steps ,replacing VERSION with the latest version, I used 0.7.3. I have provided the source code on this bog for reference. The code includes comments to help you identify what is happening so rather than the walkthrough please take a look and edit as required to fit your needs. Replace <youtube account id> and <password> with your youtube username and password, the title and other items can also be customised. 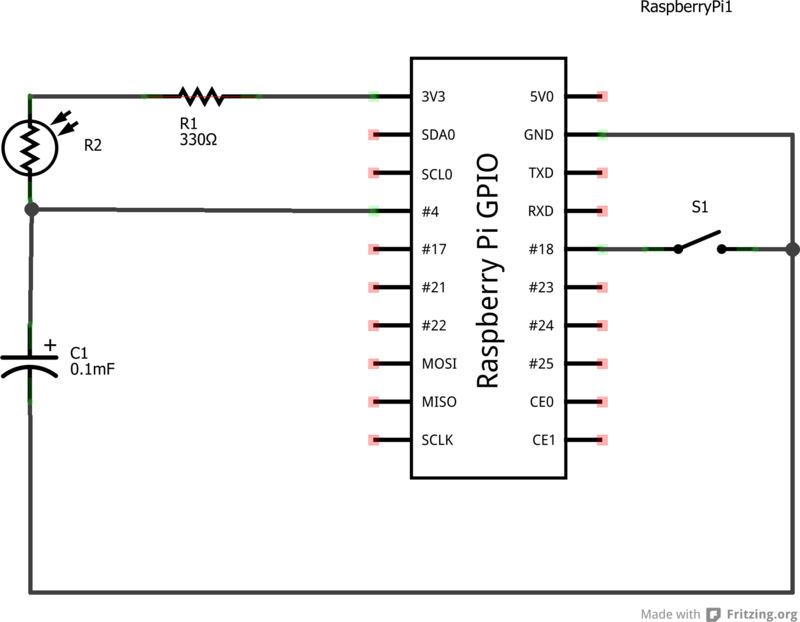 This entry was posted in Raspberry Pi, Raspberry Pi Camera, Tech and tagged automation, camera, monitoring, Raspberry Pi, youtube by JohnCat. Bookmark the permalink.